This Light Award is sponsored by Green Smoothie King, and processed through Kiva.org. 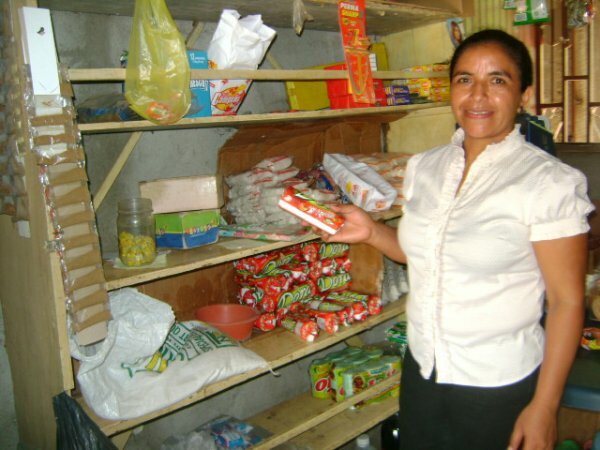 Belinda is a very enterprising person who is dedicated to her business, which is a grocery store. She lives with her 2 children in Choluteca in the south of Honduras and she has been working in this type of business for more than 18 years. She will use the loan to buy corn, beans, coffee, sugar, bread, soft drinks, sauces and firewood in order to increase her sales. With this loan she hopes to increase her sales and provide a better service to her customers, and thereby increase her earnings and have a better way of life. Her dream is to be able to start up a mini supermarket in the next 2 years as the conditions of competition are very favourable, and to be able to give the best to her children.